KUWAIT: Minister of Oil and Minister of Electricity and Water Essam Al-Marzouq, and Zain Kuwait’s Chief Executive Officer Eaman Al-Roudhan sign the agreement. 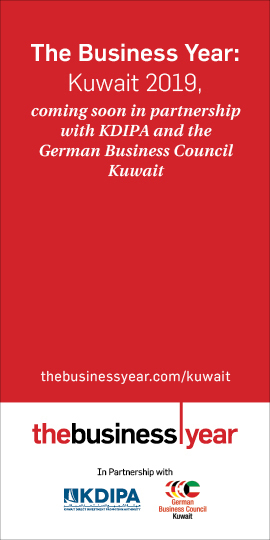 KUWAIT: Zain, the leading telecommunications company in Kuwait, announces signing a development, management, and operation agreement with the Ministry of Electricity and Water (MEW) in Kuwait for the development of interconnectivity support of the Smart Meters System Project. The signing ceremony took place at MEW’s main headquarters in the presence of the Minister of Oil and Minister of Electricity and Water, Engineer Essam Abdulmohsen Al-Marzouq, and Zain Kuwait’s Chief Executive Officer, Eaman Al-Roudhan. Zain won the official bid to become the strategic partner to MEW with respect to managing the smart metering components of the project for a period of seven years. As part of the agreement, Zain will manage the systems of smart electricity and water reading meters in Kuwait. The project’s initial capacity will include 880,000 smart meters, with the possibility of a future expansion to 1.2 million in total. As part of MEW’s plan, the first batch of smart meters will be utilized in properties within the investment, industrial, and agricultural sectors, then followed by residential properties. Zain will manage and operate the smart meters project in collaboration with a number of global strategic partners, including E&Y and Ericsson. The project is set to revolutionize the process of obtaining electricity and water readings, which will be taken automatically and can be tracked in real-time. The massive project costs KD 22 million, and will see Zain building and installing the meters over the next two years, and then managing and operating them for the subsequent five years. 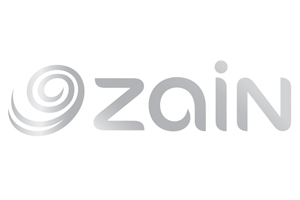 Zain will supply and install 5,000 smart meters that meet with international standards. The company will also manage the smart meters’ operating systems, including the development and management of a massive database specially developed for this project, and training MEW’s call center staff to service consumers around the clock. Zain will also introduce a secure e-payment system through MEW’s official website and through a mobile app where consumers can monitor their smart meter’s readings in real-time and receive bill reminder notifications and more. Zain is set to introduce utility payment systems where residents will be able to pay electricity and water bills through prepaid or postpaid plans. Zain will also offer its own payment channels as an option, including the company’s website, branches, kiosk machines, and more. The smart meters project aims to eliminate the requirement for a manual process to obtain meter readings, replaced instead by a state-of-the-art electronic platform that automatically collects meter readings, while also being able to inform MEW’s support team of any failures within the system in real-time.